Check our Calender of Events or the latest edition of Otter Tracks for more information. To be placed on an email list to receive event notifications, contact us at ocasvt@gmail.com. Throughout the year OCAS hosts field trips. Each month we hold a walk at Otter View Park on the Weybridge/Middlebury town line in conjunction with Middlebury Area Land Trust. In February, the Great Backyard Bird Count takes place over the President’s Day weekend. In May, we hold our annual “Warbler Warm-up” the week before our scheduled bird-a-thon. In December, Christmas Bird Counts occur. Check the latest issue of Otter Tracks on the home page for our latest upcoming events. 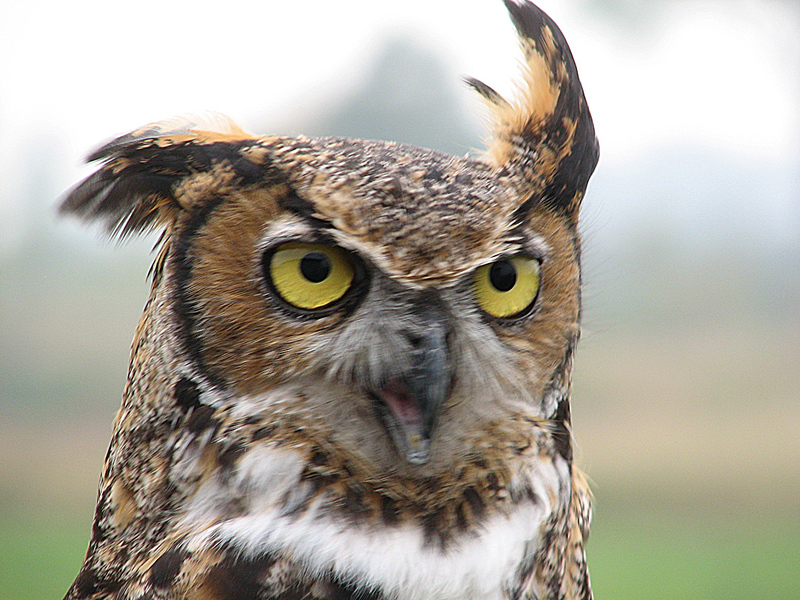 Each year Otter Creek Audubon offers financial assistance to teachers serving students in Addison County. The awards are meant to offset the costs of environmental education related field trips or events. The school grants program began in 2008. A request for proposals is distributed to principals and superintendants in November or early December; applications are due in January; and awards are announced in February. Request up to $1,000 will be considered. Bird-a-thon is an Audubon rite of spring that involves having fun, counting birds and enjoying the local environment. It is our chapter’s largest annual fundraising event- and the world’s biggest birdwatching competition. Each May bird-a-thon participants ask for support from community members and businesses, friends and family. Sponsors makes a pledge- either as one predetermined donation or as a per bird donation. The money raised by participants of the Otter Creek Audubon Society’s bird-a-thon goes toward our school grants program (see above). Bird-a-thon participants spend 24-hours on a bird watching mission- trying to identify as many bird species as possible. Some choose to drive to birding hot spots far and near, while others set out on foot, bike, or canoe (or even all three!). Each participant shapes his or her own bird-a-thon challenge keeping it truly unique. To participate as a birder or sponsor contact Mike Winslow. Christmas Bird Counts take place between December 14th and January 5th of each year. They offer an opportunity for citizens to contribute to scientific data collection. Counts take place throughout North America and beyond Count areas are circles 15-miles in diameter and participants try to tally all individual birds in the area on count day. Field observers spend most of the day patrolling designated areas while feeder watchers keep track of birds at their own homes for as much or as little time as they can provide. Assistance in both categories is welcome. Three Christmas Bird Counts take place in Addison County each year and a portion of a fourth count. Count dates are subject to change, but generally the Ferrisburgh and Mt. Abe counts are on the first Saturday on or after December 14th; the Middlebury count is on the first Sunday on or after December 14th; and the Huntington count is on the last Saturday on or before January 5th. Read more about it here: http://www.audubon.org/bird/cbc/index.html. Dead Creek Wildlife Day, a celebration of the unique wildlife of the Champlain Valley, takes place annually on the first Saturday in October. Join friends and neighbors at the Dead Creek Wildlife Management Area on Route 17 one mile west of Route 22A in Addison for a full day of wildlife related activities, field trips, demonstrations, presentations and just plain fun.The celebration begins with a bird banding demonstration by Rodney Olsen and friends of the “Dead Creek Bird Observatory” at the Route 17 boat launch in Addison. Mike Winslow is host to “The Big Sit,” recording all the bird species to be seen or heard through the day from a 17-foot circle on the shore of West Brilyea Reservoir, a half mile south of Route 17 at the bridge over Dead Creek. A succession of illustrated presentations take place through the day at the Dead Creek Headquarters conference room. The retrievers of the Lake Champlain Retriever Club go through their paces several times during the day to the delight of spectators young and old. At 11AM and again at 1PM a collection of Vermont’s live critters put in appearances thanks to the Squam Lake Natural Science Center. Through the day the exhibition tents feature a wide variety of displays, nature-related crafts and, of course, the ever popular kids’ table where awesome face painting happens and where parents can assist their kids hammer together their very own bluebird box. Decoy carving with soap and wood is available for those willing to have a hand at this skill. Enjoy a morning or an afternoon nature walk in the clayplain forest unique to the Champlain Valley. And learn about rocket netting, the technique that allows biologists to band and study the waterfowl for which the Dead Creek Wildlife Management Area was created. Healthy, wholesome food and drink are available at a reasonable price throughout the day. 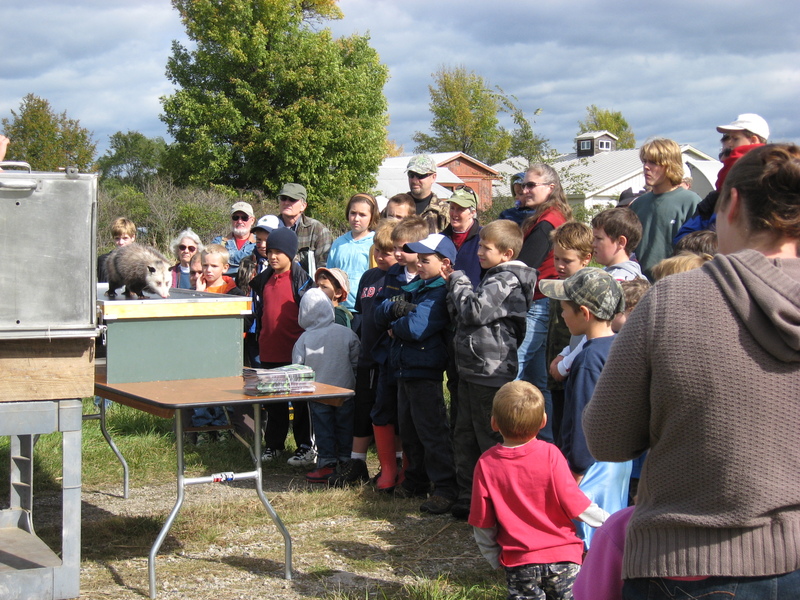 There are activities for young and old regardless of your wildlife-related interests. Don’t miss it.